Currently Freestyle America is the longest continuously operating freestyle camp in America. 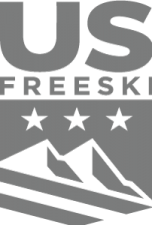 Since 1983, Freestyle America coaching programs have grown to become a thorough curriculum of skill training for freestyle skiing, including moguls, freeride, and aerials. The objective is to offer coaching programs that focus on the acrobatic elements required to succeed in domestic and international competition. To accomplish this, Freestyle America programs occur at the PREMIER TRAINING LOCATIONS in North America, including the Lake Placid Olympic Jump Complex, Horstman Glacier at Whistler/Blackcomb ski area, the WVBBTS Phil’s Hill BagJump Ramp Complex, and our own Freestyle America Training Center in the White Mountains of New Hampshire. Successful coaching programs include 3 key ingredients, optimum environments and venues, documented and proven coaching methodologies and progressions, and expert coaches. Freestyle America directors and staff coaches have impressive coaching resumes indeed, but it is their extensive experience and their dedication to year ‘round career coaching that distinguish our programs. Among the legacy of Freestyle America athletes are champions and rising stars on all levels of competition from our 10 year old Eastern B Circuit skiers to the highest levels of our sport, including Vancouver Gold Medalists Hannah Kearney and Junior World Slopestyle Champion, Jamie Crane-Mauzy. Freestyle America coaches are skilled coaching at all levels of ability, and have as a priority reducing risk by emphasizing fundamentals and correct learning methods. Program Director: Freestyle America, Inc.
A Colby College Alpine Racer, Suzi graduated into a PSIA Instructor, freestyle coach and eventually a top professional competitor on the Colgate-Palmolive Women’s Pro Tour. Suzi coached and directed the WVBBTS Junior Development Program for 20 years, dedicating her time, expertise, and vision, toward the successful development of USSA Eastern Freestyle. Suzi is the Eastern Director for the Salomon Freeskiing Tour. Nick’s career in freestyle skiing parallels the sport itself. Graduating Colby College, Nick and Suzi competed professionally for 8 years. Throughout the 1980′s, 90′s, and presently, Nick and Suzi dedicate themselves to creating and offering outstanding programs. In 2008, Nick was the recipient of USSA’s Russell Wilder Award, recognizing “dedication and contribution to the development of youth opportunities in skiing and snowboarding.” His career highlights include coaching Olympian and Gold Medalist, Hannah Kearney.